Worldwide Studios president Shuhei Yoshida says the PS3 still has plenty of untapped potential. 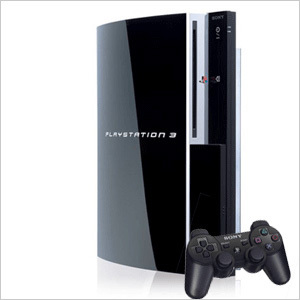 Sony has long insisted that the PlayStation 3 has the computing power and developer support necessary for a lengthy lifespan. It should come as no surprise, then, that Yoshida sees a bright future for the console despite Nintendo's Wii U reveal and rumors of a new Microsoft platform being in the works. There won't be a need to "seriously consider shifting to the next generation" until developers run out of ways to keep improving on PS3 titles, Yoshida told Eurogamer. "As far as we are concerned, we have no desire now to do that," Yoshida said when asked about making a new console. "When you see games coming out on PS3, both the traditional type of games as well as new kind of games using PS Move, there is a lot more we can do from the game development standpoint. "So as long as we and our developers can create new experiences that are more exciting to consumers, I see no need to transition into (a) newer generation." Yoshida's comments reaffirm remarks made by Sony Computer Entertainment America CEO Jack Tretton last year that the PS3, which will celebrate its fifth birthday in November, will likely enjoy a 10-year lifespan. "PlayStation 3 is really just hitting its stride," Tretton said in June in response to the Wii U announcement. "I wouldn't look for any discussion of a next-generation PlayStation for quite some time." Nintendo expects the Wii U to launch sometime next year.